Apple and Google were first to release laptops that support USB-C. Now it's showing up everywhere, for good reasons. USB-C can deliver power and data much faster and in larger quantities than its predecessors. More importantly to most users, though, the plug is reversible. No more frustrating attempts to get it â€œright side up!â€ USB-C is also backwards-compatible with earlier USB ports and plugs, an important consideration as the industry makes the transition to the USB-C standard. But transition comes with a lot of chaos, as cable makers scramble to grab USB-C market share and buyers are still uncertain what a "good" USB-C cable looks like. Some cable makers have flooded the market with cheap USB-C cables that cut corners dangerously, resulting in instant death for the laptops and other devices into which they are plugged. It happened to Google engineer Benson Leung while he was testing USB-C cables. He plugged a cheap cable into his Chromebook Pixel and ZAP! The USB test equipment and the ports on Leung's Chromebook were instantly and permanently destroyed by a power overload. The same thing happened to Dieter Bohn's Macbook Air. The reviewer for The Verge bought a few inexpensive USB-C cables on Amazon and used one to charge his Nexus 6 phone using the Macbook Air's power; the cable drew too much power from the laptop. Apple's excellent surge protection shut down the Macbook Air's USB ports instantly, but even after rebooting Bohn says the ports now work only "intermittently." Leung reports in his Amazon review of the cable, "it appears that they (Surjtech) completely miswired the cable. The GND pin on the Type-A plug is tied to the Vbus pins on the Type-C plug. The Vbus pin on the Type-A plug is tied to GND on the Type-C plug. "This is a total recipe for disaster and I have 3 pieces of electronics dead to show for it, my Pixel 2015, and two USB PD analyzers." Which USB-C Cables Are Safe to Buy? So, scratch any USB-C cables made by Surjtech from your shopping list. But few of us have the test equipment that Leung used to diagnose the miswiring. Luckily, there are a few telltale signs of shoddy construction that can help ordinary mortals avoid buying a nightmare cable. Look at the USB-C plugs shown in the image here. The one on the right is seamless; it was made using a relatively expensive "deep extruding" method of metal-forming. The one on the left shows a zigzag seam, indicative of metal that was merely folded into a tube shape and sloppily secured. The critical wiring inside is likely to be just as sloppy. Also look for a USB-C cable that is certified by the USB Implementers Forum, the nonprofit coalition of companies that developed the USB standard. The USB-IF maintains a list of certified USB-C cable products and updates it weekly; the current list has 61 products on it. The difference in price between a quality USB-C cable and one that may destroy your hardware is trivial. For instance, TechMatte's certified USB-C to USB-A cable costs only $4.99 for a one-footer, and six feet will run just $7.99. Keep your eye on build quality and USB-IF certification, not on the price tag of a USB-C cable. This is a spectacular example of when not to be penny-wise and pound-foolish. Most recent comments on "[ZAP!] Don't Buy the Wrong USB-C Cable"
Wow, how simple it is to destroy thousands of dollars worth of equipment! Thank you so much for this Bob, well worth the read. Thanks for the info, i know HDMI cables don't really matter so one would think USB the same..Not so. 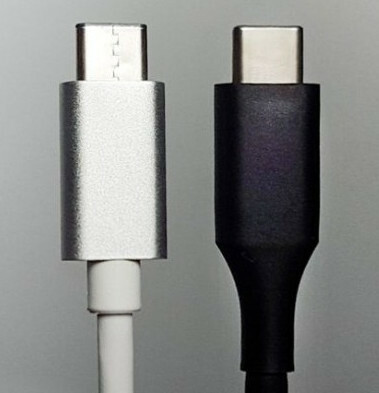 Does your description of the "zigzag seam" being a sign of a cheaper USB cable apply to non-USB-C cables? Your very informative article made me look at all my current USB cables (non of them are USB-C). They are all made that way. Should I be concerned? The zig-zag seam in the "faulty" plug on the left is the same on every USB plug I have received on all my Android devices from Samsung. They still work. EDITOR'S NOTE: I have USB cables with the zig-zag, too. Perhaps this advice is more applicable to the new USB-C cables. Another spectacular article from you! Its better to go for renowned brands only to avoid disaster. Wow, thanks a lot for this heads-up Bob. I haven't gotten (or even seen) and products with USB-C yet, but I'm sure it won't be long before most of us have if it's really the universal port of the future. I must say though, what you point out here makes me wonder if this is really such a good thing. I know I've had faulty USB 2.0 cables in the past. But they just didn't work; nothing was ever harmed by them. It's kind of scary to know that this potential even exists, and apparently is all to easy to occur through no fault of my own, other than maybe saving a buck. It may be the cable. Recently, I bought an aftermarket USB cable as part of a wall charger package. Those that hang in Supermarkets in blister packets. I used the USB cable to connect my Galaxy S2 to my PC. Phone not properly recognised and thus wouldn't connect, PC to Phone communication not happening. The same communication problem happened when I tested the cable with other phones. After lengthy messing about, I decided to use the original USB cable. Magically, PC and Phone communicated as they should be able to. I believe that I had been 'caught' by the trap of the USB cable being made for a specific purpose (charger), and probably not having the data link wiring included. Find a known good cable (OEM if possible), test cable using other devices and your problem devices, troubleshoot from there. Is there any particular place which addresses compatibility issues and so forth? I'm interested in this, but wondering how much of my purchased tech base (USB3 hubs and drives and so forth) I'd have to repurchase to take advantage of the new tech. Thank you Bob, for some more invaluable information. Lesson learned: "It is a cheap man who pays the most." Right now, I do NOT have any device with a USB-C or USB-mini C. I know that I may have to be concerned about this, in the future. This does NOT mean that I am being lackadaisical or nonchalant about this issue - I need to know, for the family members and friends, who buy new computer products, to guide them to purchase the right USB-C product and brand. It should be noted that Benson has review a very large number of cables, and some (like http://www.amazon.com/gp/product/B017V7NZE2?ref_=cm_rdp_product) were given 5 stars by Benson, even though they have a crimped end. I think that extruded vs crimped is a very poor way for any to determine the quality of a cable. Perhaps better advice would be to "stick with well known or trusted or well reviewed brands". I do agree however that one should always be careful of anything they plug in. 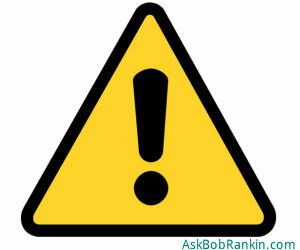 Even an incorrectly wired 3 pin power cable can blow a power supply (and/or trip the RCD on your house). Thanks Bob. This info is one reason I subscribed to your newsletter. News we can use. Wonderful Bob. This one worth archiving. Another great article that I am sharing with others. My plugs are also zigzag but not USB-C cords. I really like your newsletter because you don't talk over our heads. I can understand almost everything you write about. Thanks a million.